ToyLikeMe was set up in 2015 by former BBC journalist and children’s writer, Rebecca Atkinson, who wears hearing aids herself. “When I was growing up in the 80s,” says Rebecca, “I never saw any deaf characters in toys, books or on TV. When I became a mum myself, I decided it was time things changed. Psychologists have studied the effects of playing with toys with disability and found that after playing with toys like the Mia doll, children were more open to forming friendships with people with disability. Lottie Dolls celebrated their 5th anniversary this year. Our very first doll was created five years ago following 18 months of research. They are dressed comfortably in clothes that are made from colourful and tactile fabrics. The bodies are based on the proportions of a 9-year-old child. 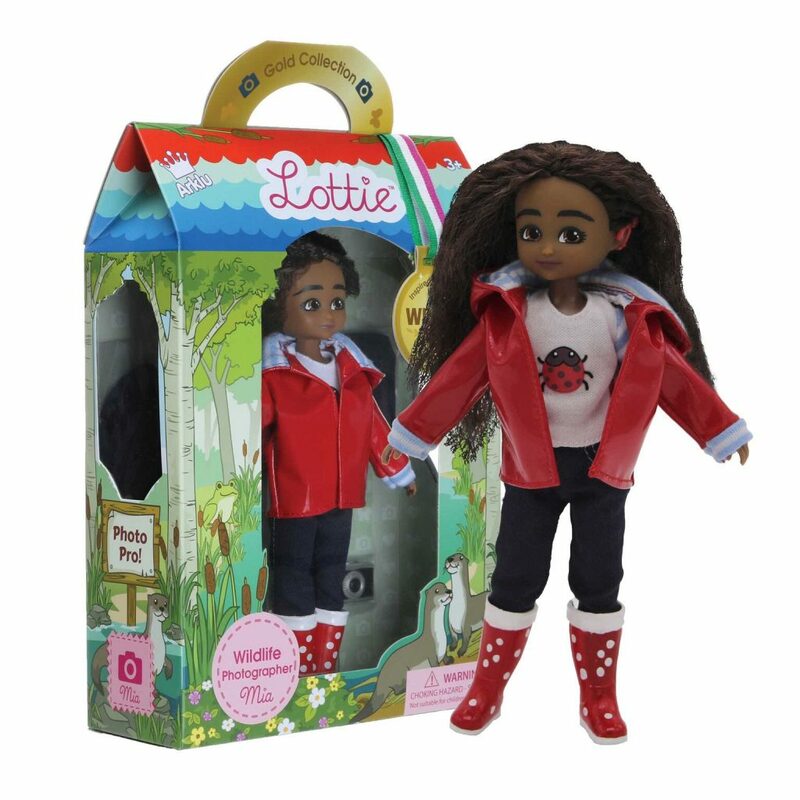 Lottie Dolls’ Mia the Wildlife Photographer has been created to reflect the brand’s mission: that childhood should be an inclusive place, where every child belongs regardless of gender, ethnicity or ability. Although Mia wears a cochlear implant, this is part of her story rather than a focal point. A keen photographer, the Mia character also has a mission to encourage children to take an interest in nature and wildlife. A mini-newspaper was created, comprised of nature photos submitted by children as part of an international photography competition, to encourage fans of the dolls to get involved. 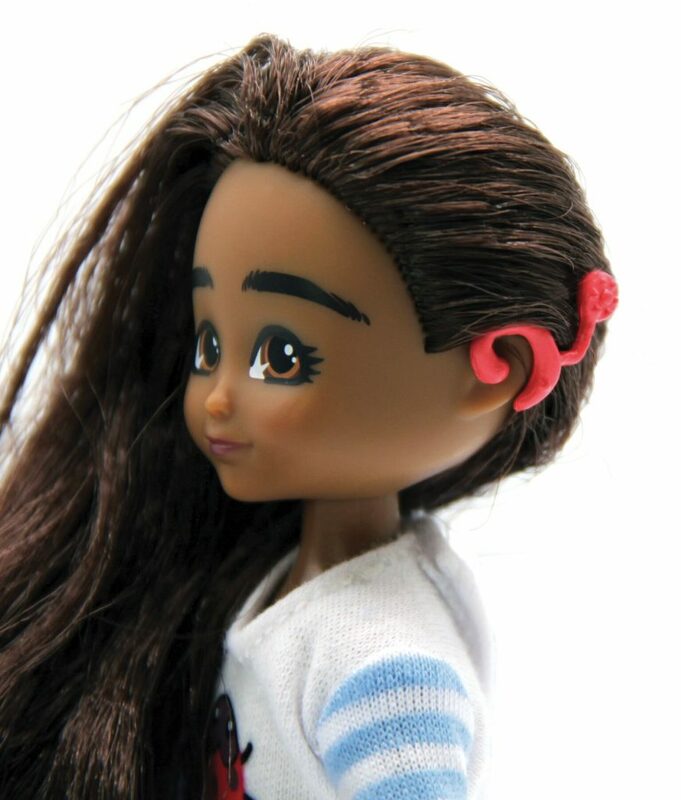 Mia was created following consultation with ‘Toy Like Me‘, a UK non-profit who campaign for diversity in the toy-box and for better representation of disabilities so that differently-abled children can see themselves reflected in the toys they play with. ToyLikeMe was set up in 2015 by former BBC journalist and children’s writer, Rebecca Atkinson, who wears hearing aids herself. Psychologist Dr Sian Jones from Goldsmiths, University of London has studied the effects of playing with toys with disability and difference on the attitudes of children without disability and difference. Interviewing hundreds of children, she found that after playing with toys like the Mia doll, children were more open to forming friendships with peers with disability and difference.